Day 11: Post about your favorite movies that you never get tired of watching. I'll most definitely have a lot of trouble writing this one. I don't really watch any movies, neither do I watch them more than once. So... I'll just post the movies that I enjoyed the most. Meh. WARNING: Massive spoiler alert for all the movies below! If you haven't watched any of them, turn back now, go to the nearest store, buy the movie, and watch it! I'll start this off with my most recent favored movie. 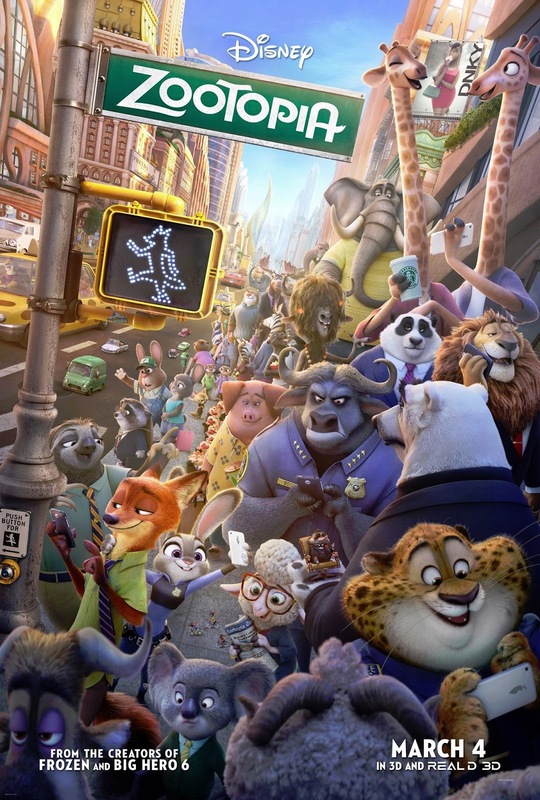 Zootopia is a movie by Walt Disney Studios that tells the tale of Judy Hopps, an aspiring bunny who yearns to become a police officer in a world full of anthropomorphic animals. Sounds corny? Never judge a movie by its poster. Throughout the story, Judy had to overcome tough challenges that far surpasses her limits as a mere bunny. (Come on, all the members of the police force are big animals.) Tough challenges like proving her worth to the chief, forcing Nick Wilde, a fox con artist, into joining her, almost getting killed a few times, and finding out who caused the mysterious disappearances of several civilians. Her size may be small, but her heart is as huge as an elephant's. The story revolves around dealing with prejudice—specifically between preys and predators. Even though Zootopia claims itself to be "peaceful with all animals of all species", this statement is proved to be false as predators continue to show ferocity at preys whereas preys tend to defend themselves by harming predators. This was shown when Nick tested Judy's trust on him by faking an attack, but Judy nearly sprayed him on impulse with fox repellant. I've watched Tangled a few years back. 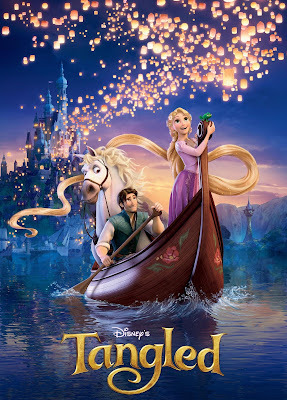 This movie is another one by Walt Disney Studios and it is inspired by Rapunzel, by the Brothers Grimm. 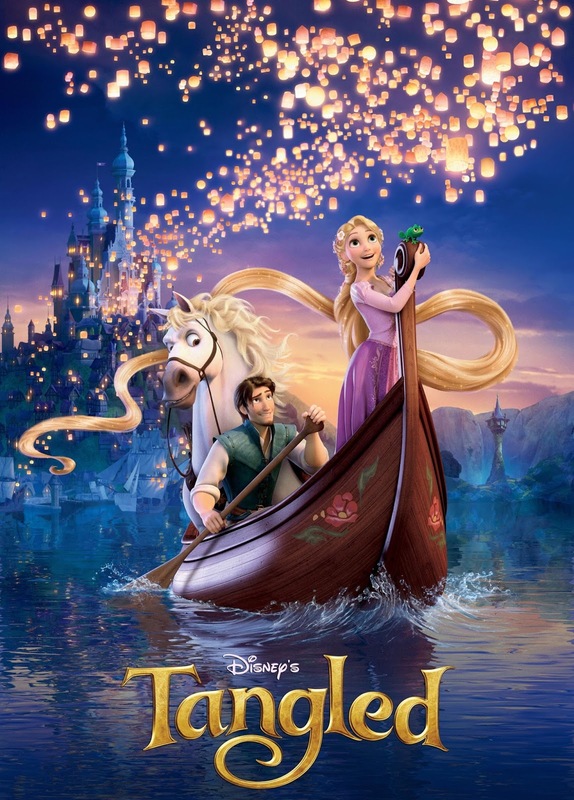 It tells the story of eighteen-year-old Rapunzel, seeking to see the 'floating lights' against Mother Gothel's wishes. Her desire entwines her destiny with Flynn Rider, the wanted-dead-or-alive thief version of Prince Charming. Rapunzel had spent her whole life held up in a tower, having nothing interesting to do anymore. I'd never be able to live one minute locked up there. She knew if she escaped her tower, her mother wouldn't be happy. But did that keep her from her dreams? When Flynn stumbled upon her windowstep, Rapunzel took it as an opportunity to see the lights. Though on the way, she did encounter ruffians, thugs, poison ivy, quicksand. Cannibals and snakes, the plague—no—yes! Basically, Tangled gives a clear message about chasing your desires. Rapunzel may be a gullible and naïve, but she needed to see the lights. Needed so much that nothing stood in her way. Eventually, Rapunzel realized that she had another desire—being together with Flynn (or Eugene). Despite the fact that she was tricked into thinking that Flynn didn't care about her, she never gave up hope. What she had in return from all her positivity was a happily ever after, with Flynn as her husband. This goes to show that if you want to achieve something, you should never let anything stop you. Of all the Disney princesses, Rapunzel is my favorite. Tangled is one of my most memorable movies and honestly one of the best Disney has ever offered. If you haven't guessed by now, I'm obviously a fan of Disney. This one is by Pixar Animation Studios, but also in collaboration with Walt Disney Pictures. 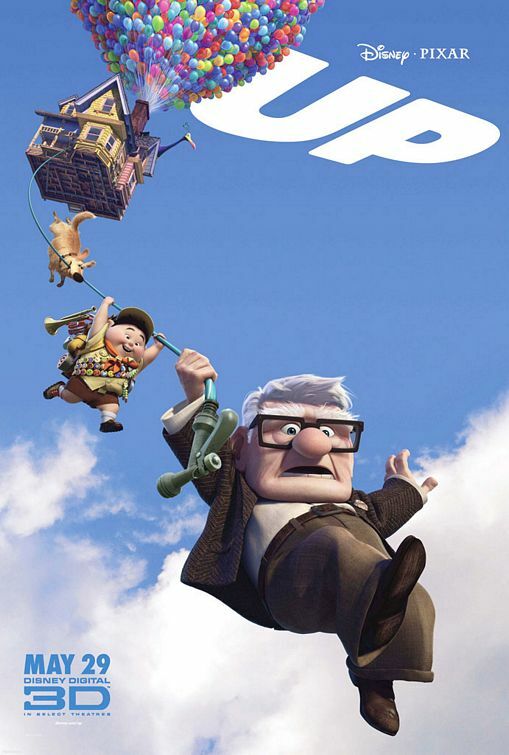 The movie opens up to Carl Fredrickson, who wishes to move his house—via balloons—to Paradise Falls to fulfill his late wife's, Ellie's, dream, albeit with the help of a talkative boy scout named Russell. After the death of his wife, Carl became cold and distant. With his last few years left in his life, he did the impossible—lifting his house in the air with thousands of helium balloons to Paradise Falls. Though he accidentally lifted Russell off with him, too, and has to stick with him for the rest of the journey. Through the end, his selfish personality develops into a more understanding one, right after seeing Ellie's real wish, which is to have Carl go on his own adventure. Carl had undergone a massive change. From being a man set on his goals to a man wanting to make things right. Despite accomplishing what he longed for, he wasn't fulfilled. And particularly because he caused more harm than good. When Carl reflected on his journey so far, he realized he wasn't doing what Ellie wanted him to do, which was to have his adventure, not hers. Thus, he went above and beyond the call of duty to set things right. Carl had shown that true happiness came from everyone around him, not just him. Up was a truly marvelous movie. I even bought the video game once and played it, too. Well, Disney, here's the "Making People Happy" patch for your badge sash! As I have said, I don't really watch a lot of movies. But if I were to pick my favorites, all of them would be Disney movies. I love Disney movies—mostly because they derive from classic fairy tales and are inspirational and unique. I've said it once and I'll say it again: Disney never disappoints. What are your favorite movies that you never get tired of watching? Let me know in the comments!